Placing a 411 call is usually something that your carrier charges extra for when you are trying to find out the number of a business or individual, sometimes as much as $1-$2 per call. Usually, this number is reserved for local directory assistance and helping people connect with businesses and loved ones. Luckily there is a service is available for those who do not have the 411 plan available on their cellular plan, and it’s completely free. Snopes reported back in 2010 of a company called Marchex, based out of Seattle, that was offering free 411 calls in exchange for a 10-20 second advertisement before the information was given. The way it works is that you call the number you will hear a short advertisement. Then once you ask for the business or name of the caller you are looking for, the automated system will return information about similar businesses who pay to have their business recommended through the service. If you don’t want to use the recommendation, it will tell you the details about the person or business you originally asked about. All in all if you are comfortable with listening through advertisements, this is a much better alternative instead of paying for the service outright. 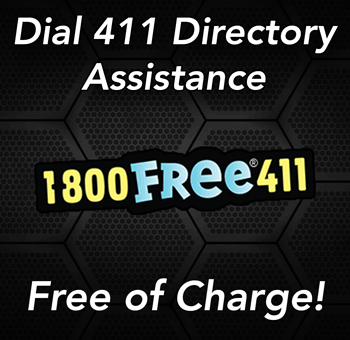 From 2005 through the early 2010, the free 411 company estimated that they saved consumers in excess of $1 billion based on an inflated rate of $2 a call for directory assistance through traditional 411 calls. There are roughly 6 billion calls made to 411 each year, and with cellular companies attempting to make as much money as possible off of their upsells and product packages, complimentary 411 assistance is commonly left out of the popular cell phone packages due to so many callers each year. Up until the 1980’s you used to be able to call the 411 number for free, until carrier realized that they could make some serious money by charging people who wanted to look up information about businesses and people in their area. With a service like 1-800-FREE-411, you can save money by not paying for expensive phone packages from your carrier. 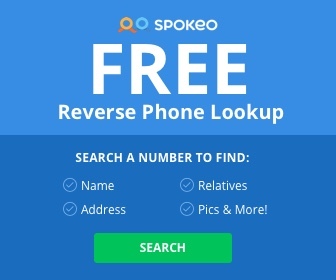 Where Do Phone Lookup Directories Get Their Information? Sign up for our email newsletter to receive the latest updates directly to your inbox!